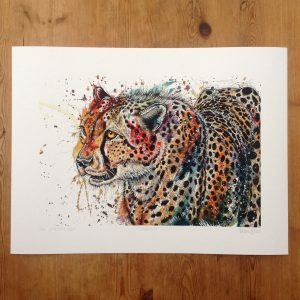 One of my most popular illustrations from this year is now being released as the 2017 Christmas charity print. 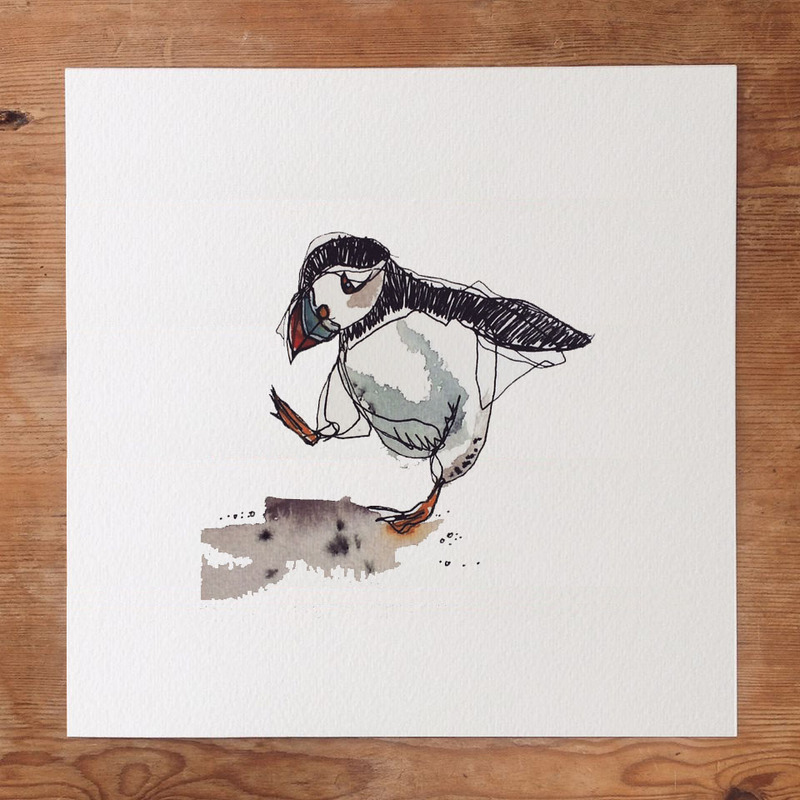 75 limited edition prints of ‘Little Puffin’ are being sold with a 50% donation to this years partnering charity the Scottish Seabird Centre who have been working to dramatically improve the dwindling puffin numbers on the Firth of Forth islands through the SOS Puffin project. Each print measures 6×6 inches and you can purchase it knowing that £15 will be going to help real endangered puffins in the wild! 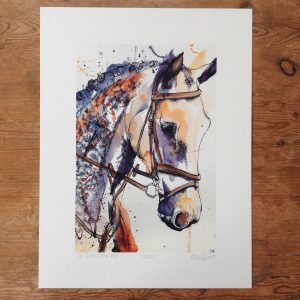 All prints are individually signed and numbered, then backed on board and wrapped in brown tissue paper for protection. 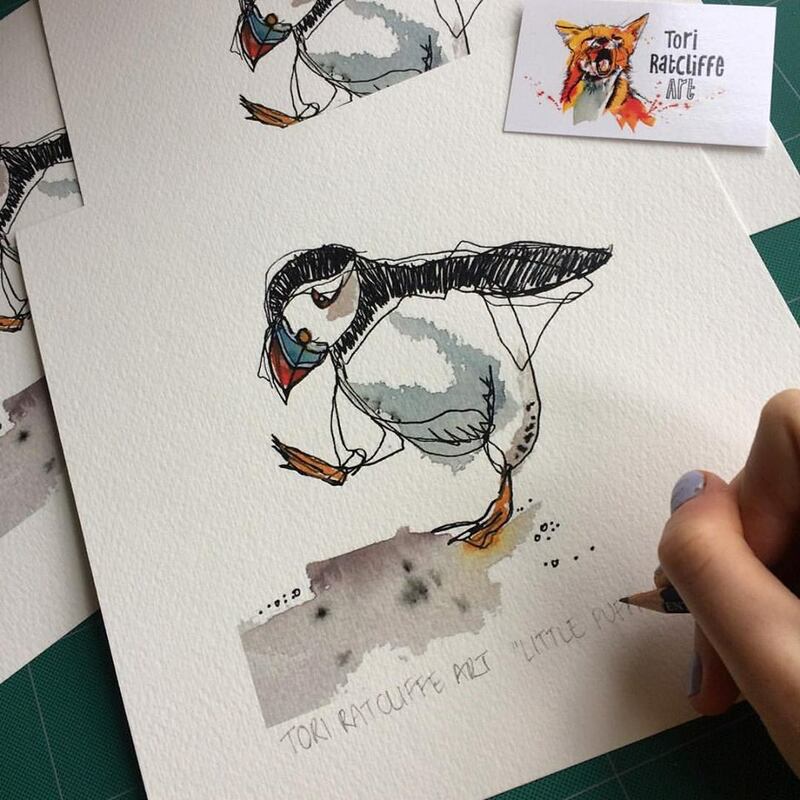 Finally they are sealed with a little sticker that explains the project and where the proceeds will be going. 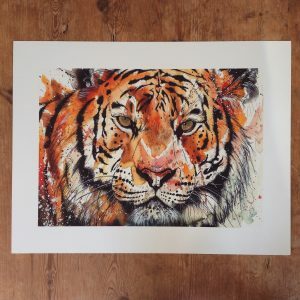 All Tori Ratcliffe Art prints have been taken from original artworks and printed on textured Conservation Grade paper which means the colour will not fade. 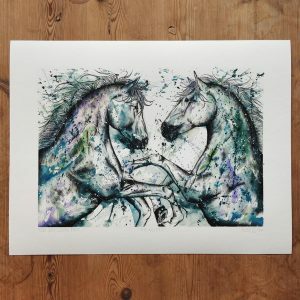 As the artist I can personally vouch that the quality of these prints makes them indistinctive from the original artworks.